Chair Caner’s DO work in the Winter! My problem over the years has been that as long as I am demonstrating at a farmers market or show, people will flood in with chairs in the spring and summer months. Forgetting all about the winter months, no shows, no farmers markets, nothing to get in the way of working on chairs, alas, not a chair in sight. I would just like to encourage people to remember that a caner DOES Cane in the winter, call, write or email and set up a time, for the bleak months of winter. 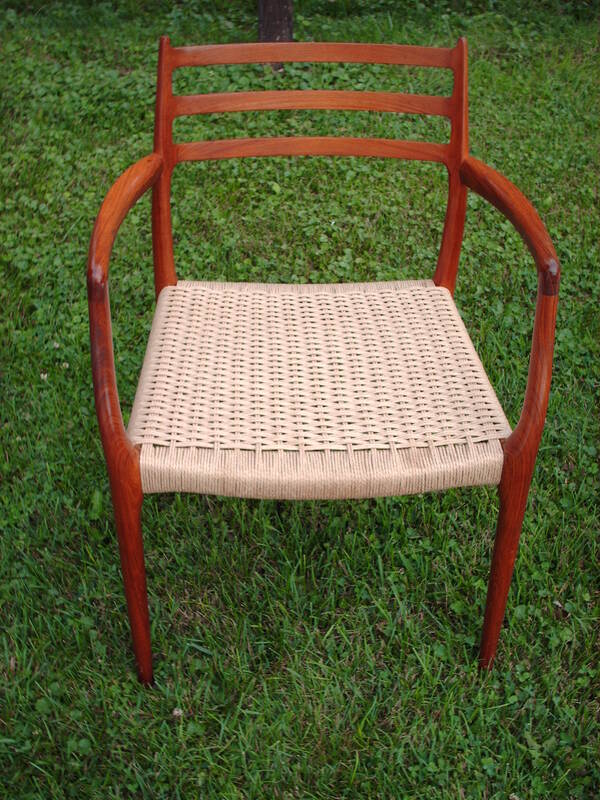 Last week I had the pleasure to work on a set of chair that originally were hand caned. One would think that once hand caned always hand canned! Not so thanks to the ingenuity of a wood worker of yesteryear. The amazing thing of removing a genuine rush or even fiber rush seat done decades ago; is that sometimes it can be a mini time capsule full of mystery and surprise. These two chairs were just that. The original genuine rush seats yielded its hidden treasures. Once the old seat was removed I found packing material in the form of crumpled newspaper clippings from a Troy New York newspaper, dated 1935! However being very brittle, it revealed to me that it was the used car section of the paper. Did you know that in 1935 you could buy a used 1929 Buick Sedan for $60.00? 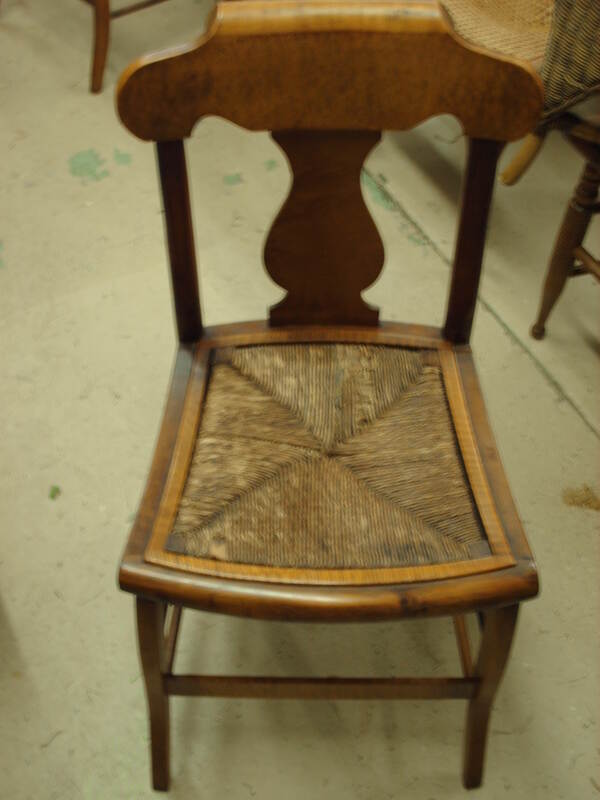 The mystery of these chair do not stop here, they were originally hand caned, and re worked to fit a drop in rush seat. This would tell us that back in 1935 it was no easier for some to find a hand caner in those day either. So the chairs were modified to accept a drop in Rush seat. This is the first time I had seen a chair like this but as the pictures will show this worked out beautifully for these Bird’s Eye and Tiger Maple dining room chairs. 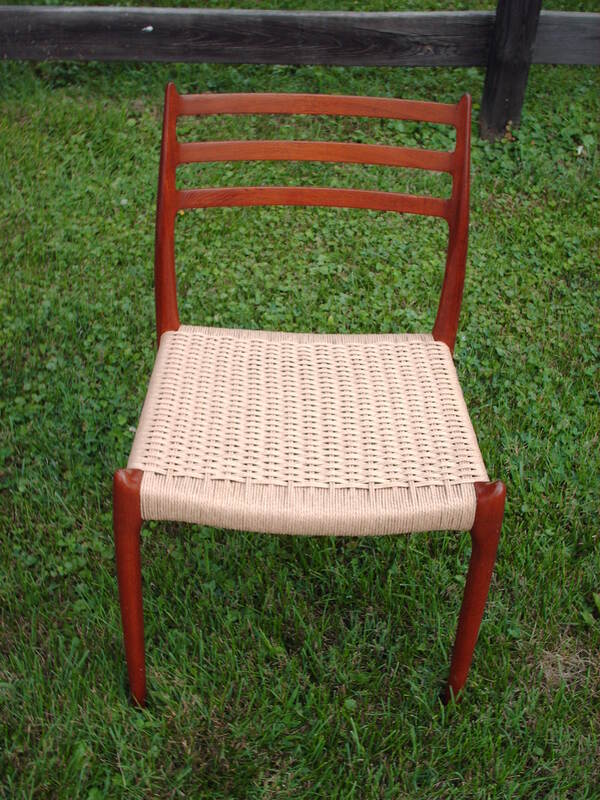 I am hoping to get pictures of the finished chairs to post, I did not because there were done in a Rush (pun) I will need to get with the customers and get pictures of their finished chairs, to post. 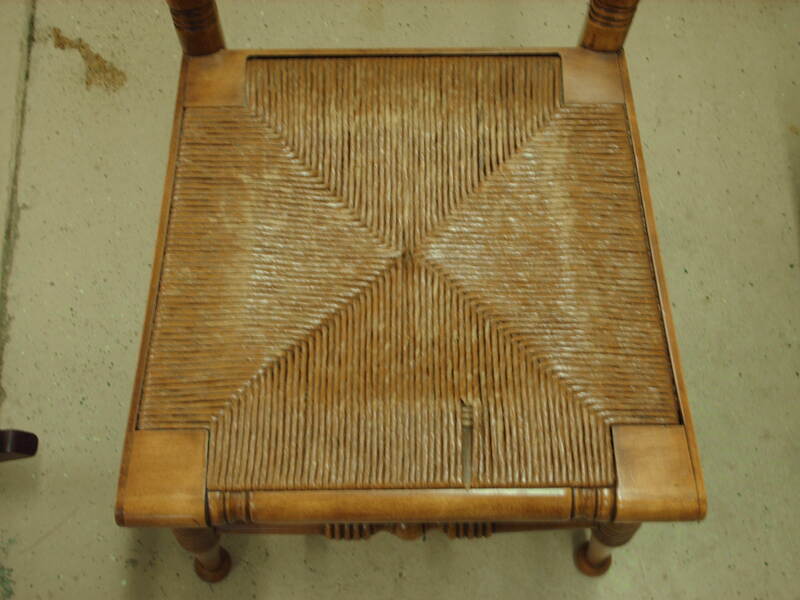 The Maple trim that you see going around the rush drop in seat, are the strips that cover the underlying hand caning holes. 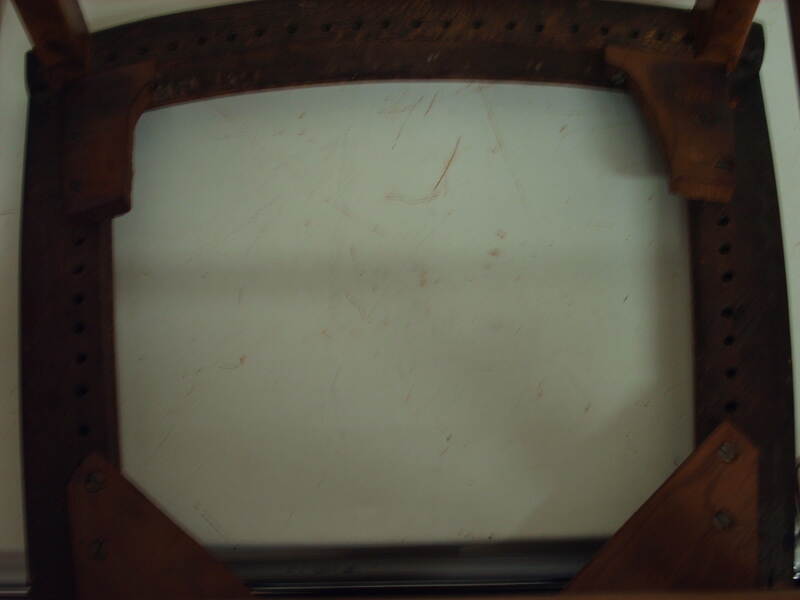 This is the original drop in seat with genuine rush bottom, note the decorative corner blocks. Please not the underneath side of a genuine rush seat, since the rope is actually acheived by laying cattail leave one upon the other in a graduated fashion and hand twisting them to form the rope as you continue to rush the chair, this results in the ends of the leaves protruding fromt he back of the chair seat. As this photo shows. This photo shows how the drop in seat just slips out of its holding space in the center of the chair. 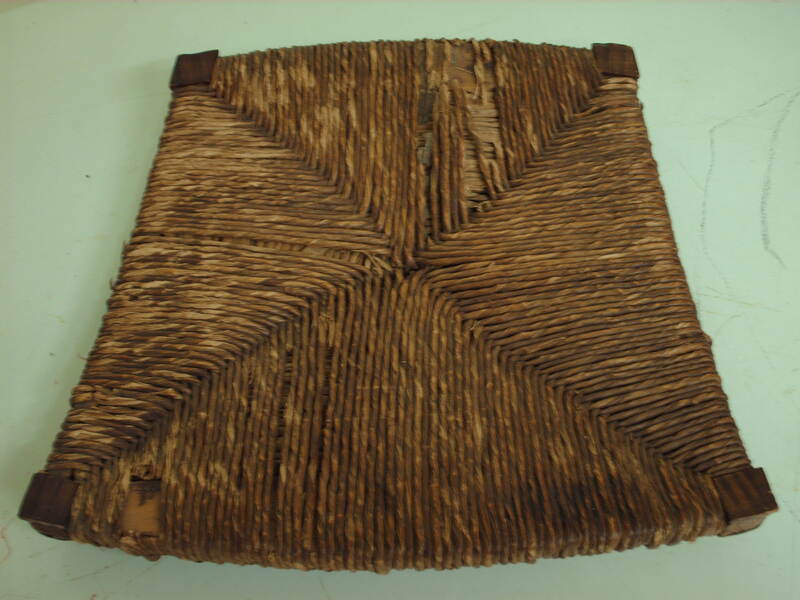 Bottom of the chair, reveals the hand caned chair seat, and the blocks placed in the corners to support the rushed drop in seats. 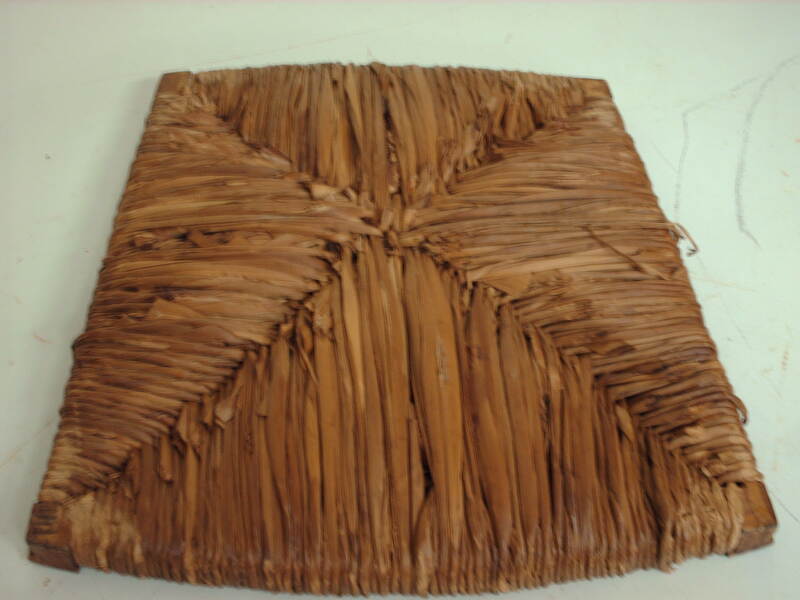 Well the week ahead looks like we will be honing our skills on pressed cane and rush seats. 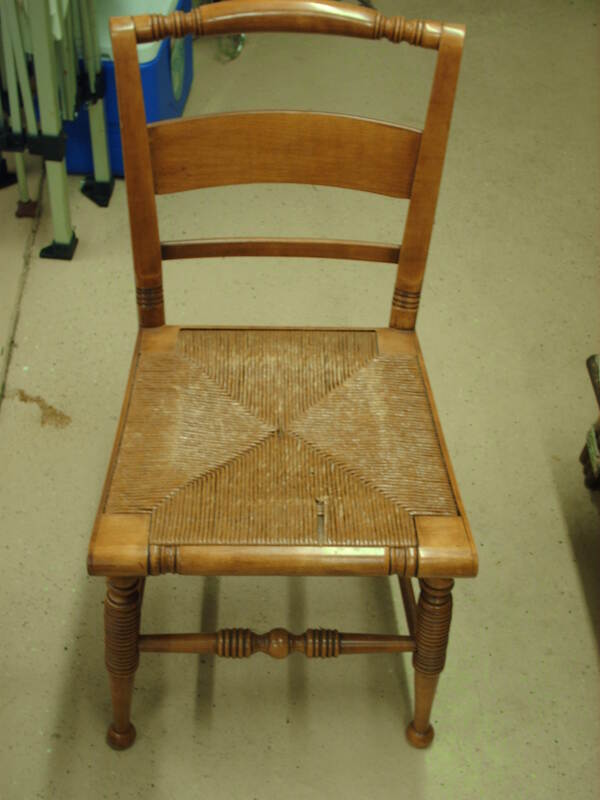 In the studio we now have several oak chairs with pressed cane seats, in addition is several nice chairs from a customer in Northern Virinia, that were aquired while they were living in Singapore. These chairs were hand made in Australia and are of Eucalyptus Wood, they are finely detailed with Queen Anne Legs. 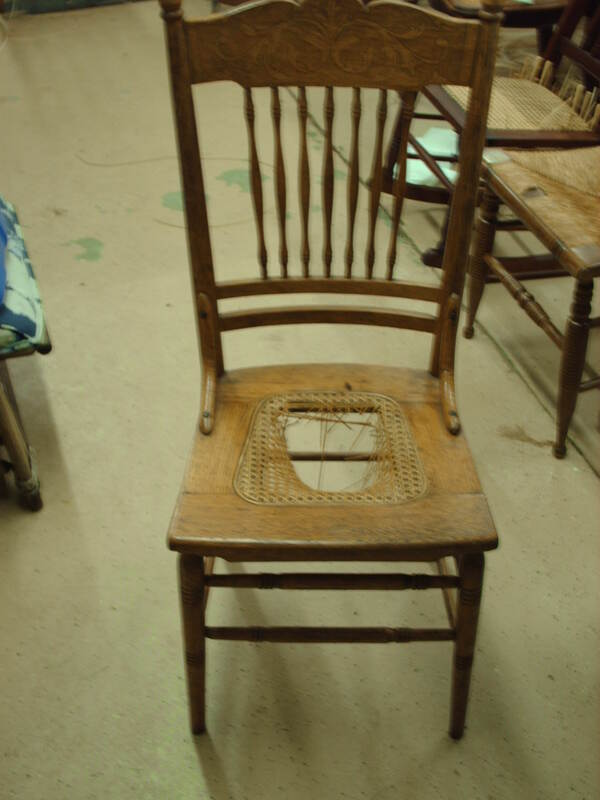 These chairs are very elegant and have pressed cane seats, as well as backs, however just the seats need replacing. 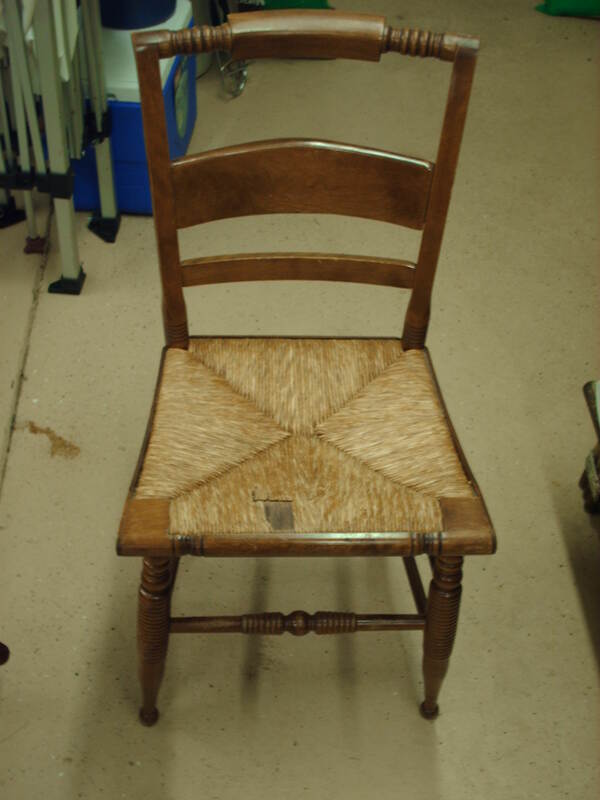 There are also a pair of Oak dinning room chairs with small pressed cane seats, typical of this style of chair, as compared to the Eucalyptus chairs above, which have the entire sitting area of the chair in pressed/sheet cane. 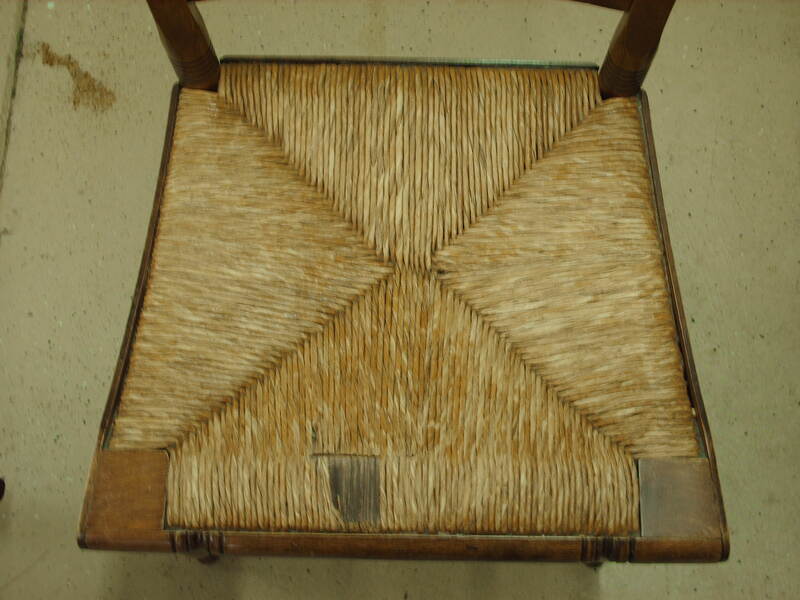 The final chair in the studio in pressed cane is a black dinning chair, which need gluing and clamping in several places before the seat is replaced. The second picture shows a broken side piece that needs to be glued, and clamped and screwed back into place before the cane can be installed. 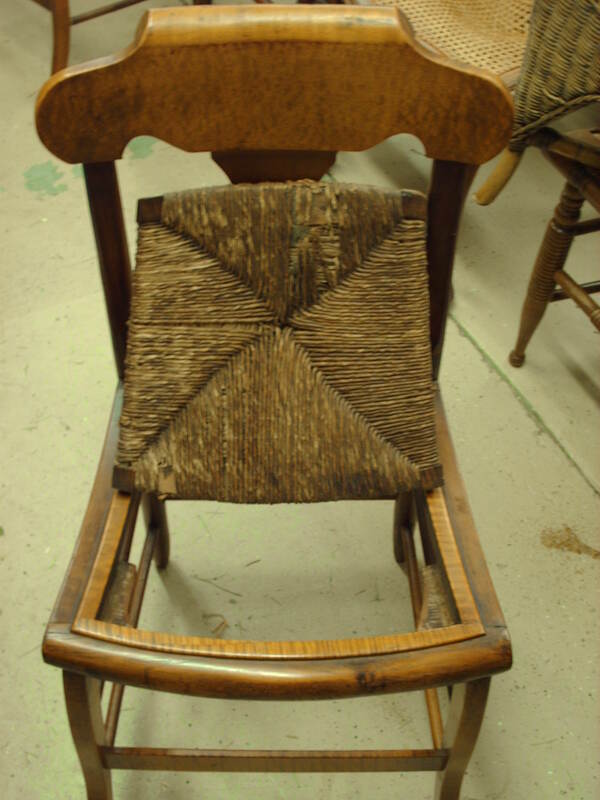 The two pictures on the left show an Oak Chair, which the pressed cane has totally worn out. 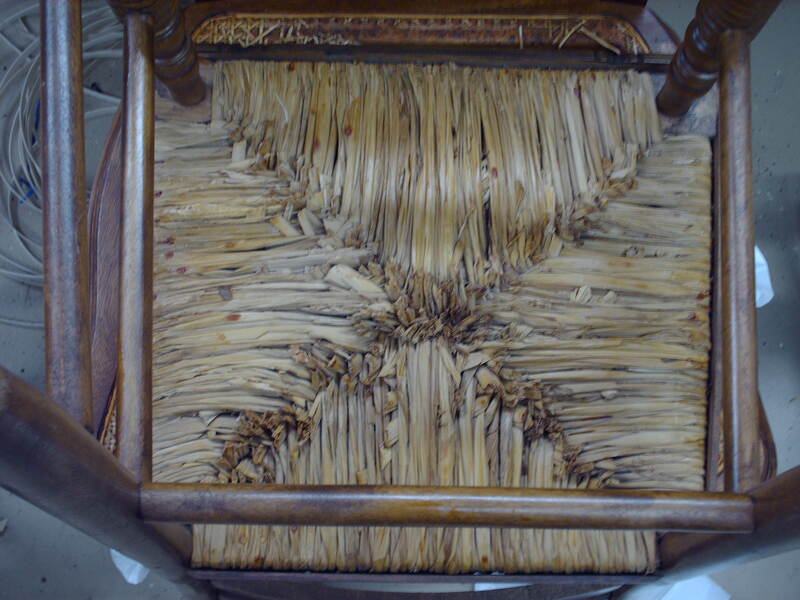 When the new cane has been installed, the cane will be stained to give it an aged appearance. Next on the list for this week is the replacement of two rush seats. One having a genuine rush seat that has deteriorated and will be replaced with Fiber Rush. Hitchcock style chairs usually incur a dis-assembly/re-assembly charge, as you have to remove button covers in the rear of the chair, also prying out wood strips from around the chair and removing a front decorative piece that is screwed into place, this forms a decorative as well as protective frame work around the rushed interior of the seat. All of this takes time to do just to get to the seat itself before rushing can take place. 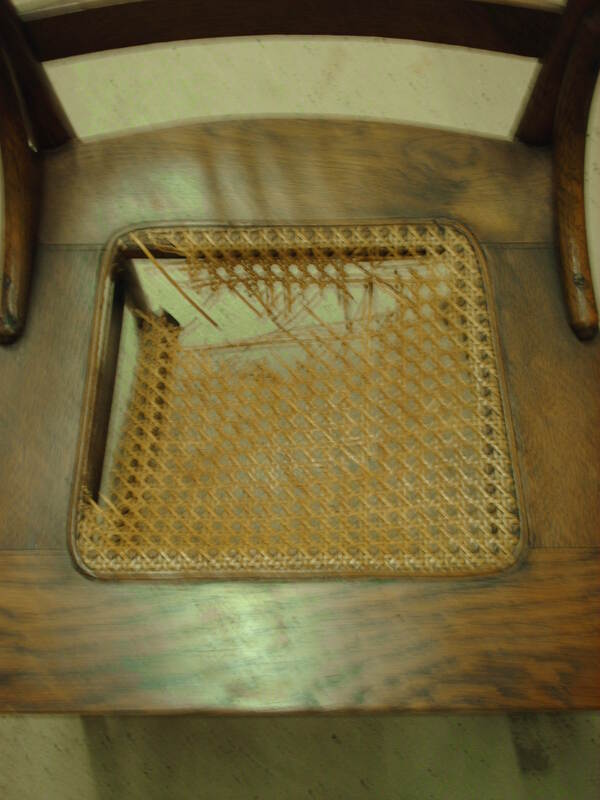 The second chair has what is known as a drop in seat, it has been rushed with fiber rush that has worn and broken on the front rail, this is the common place for most rush to weaken and brake, as it gets all the weight and pressure from the thighs rubbing along the front edge of the seat. The interior of this seat is removable, however in some ways it it makes it more difficult over the rushing taking place directly on the chair rails itself. 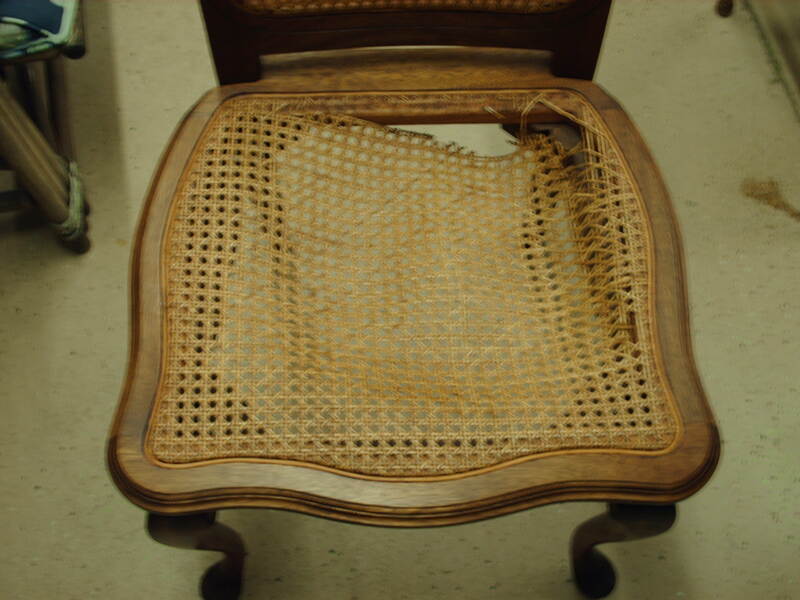 Note the back, side and front wood trim that needs to be removed and replaced in order to get to the seat to be woven. 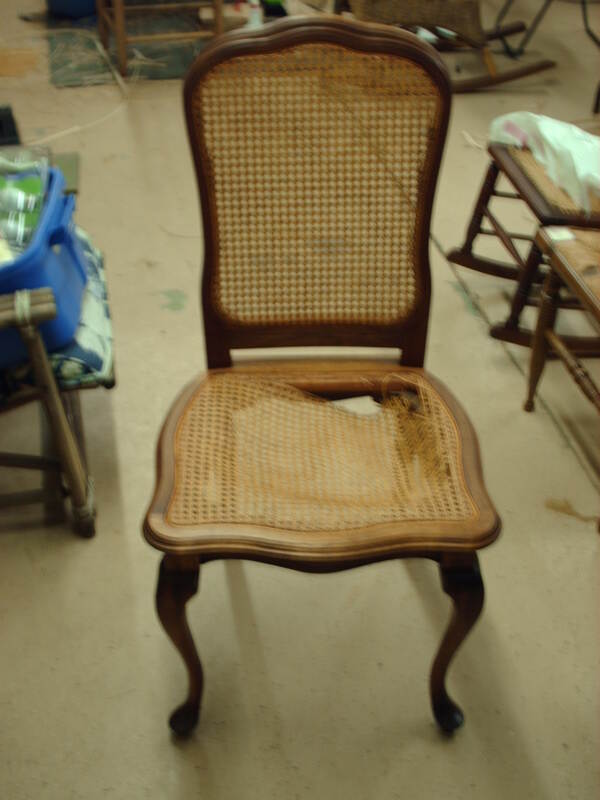 In some cases there are wooden dowels or buttons in the rear behind the seat that need to be removed, that cover screws to release the wood frame on this type of chair. This seat is not that way, most of those have heavier wide trim going around the seat. The next chair is the Hitchcock style with the removable drop in seat, where the inner frame must be removed in order that the rushing can take place, while this seems to be a simple task, it is much easier to re-rush in the chair frame. 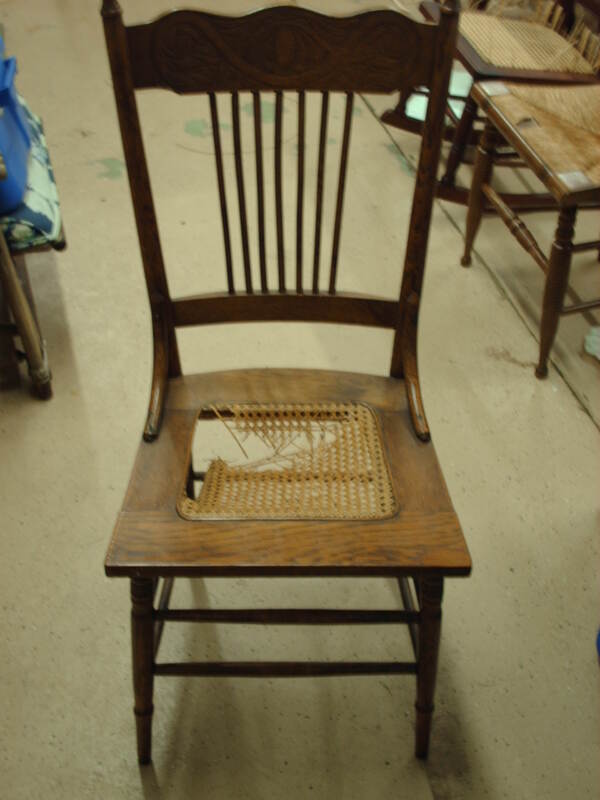 Nails or small strips or blocks of wood need to be tacked into place where the top of the leg posts would be normally, this is to hold the new rush in place until the finished seat can be replaced into the chair. Modern day manufacturer’s of Rush Style Chairs, that specialize in mass production often resort to the drop in seat, as the chair can be manufactured in one country, and the seat in another or in another totally separate area of the factory, the assembled in another. 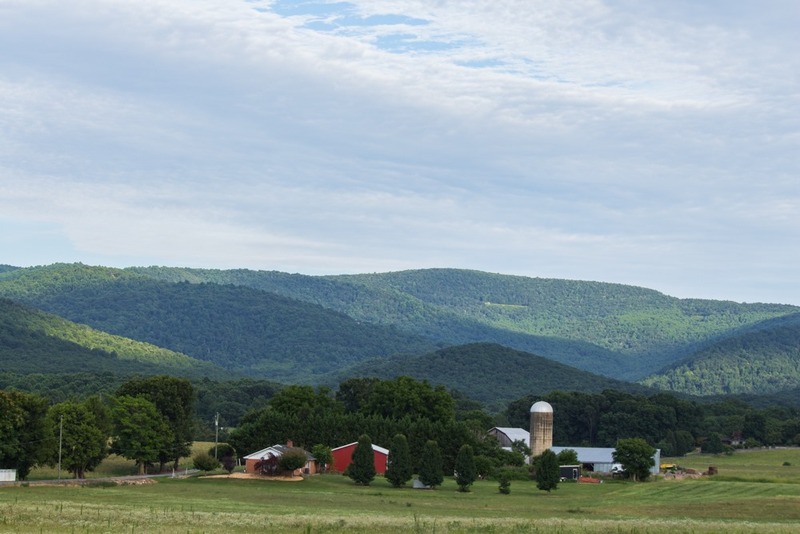 Premium furniture manufacturer’s such as Suter’s Hadcrafted Furniture- Harrisonburg, Virginia and Chlore”s of Madison, Virginia still rush the chairs they make right in the chair and do not use drop in frames. I am sure there are many others, however this is still done mainly by manufacturer’s of Hand Crafted Furniture, not neccessarily mass produced. Pictures of the finished chairs will be posted in a separate post, later this week. Please Note: The layout of this article is not the way it is supposed to be. I have found that Word Press has a mind of its own. It shows you what you think you will get, publishes something entirely differnt. Please be patient until I can find out how to correct this. 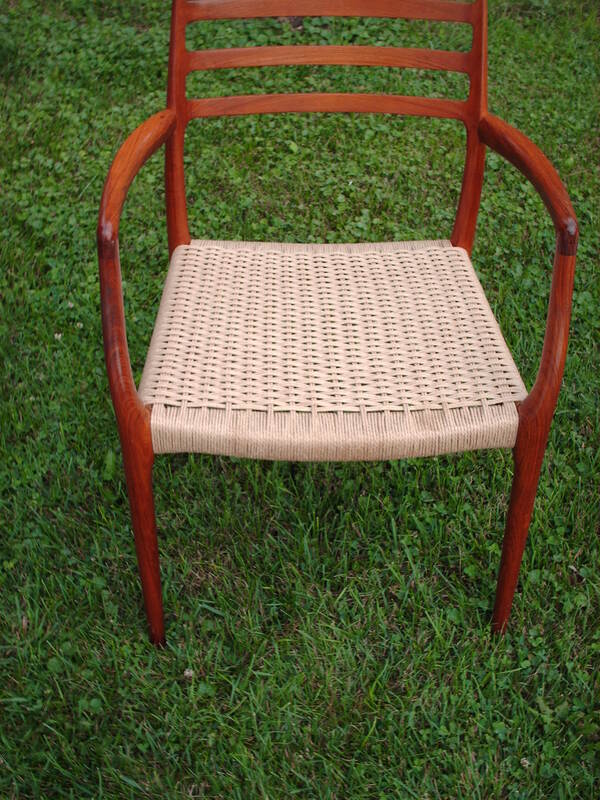 This week I finished a set of Danish Cord Chairs made by the Moller Company in Denmark. 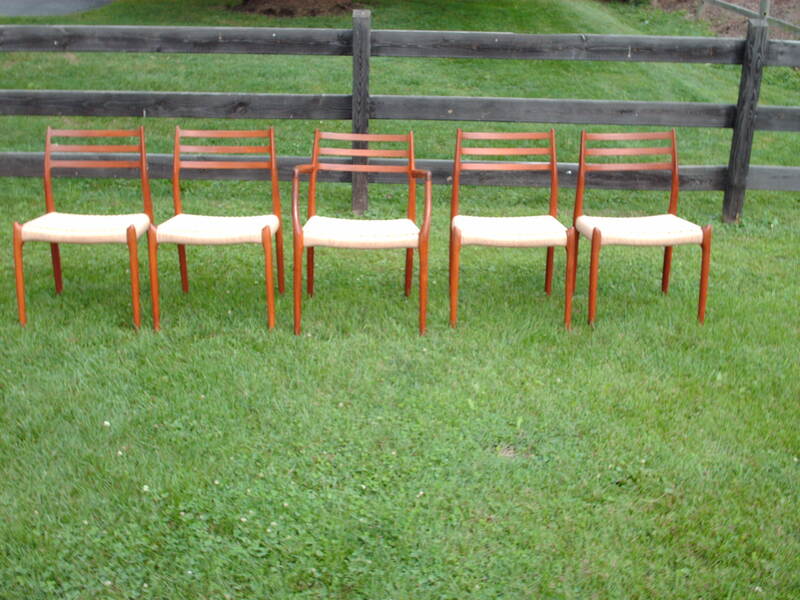 These were beautiful Cherry Chairs made in the 1960’s. 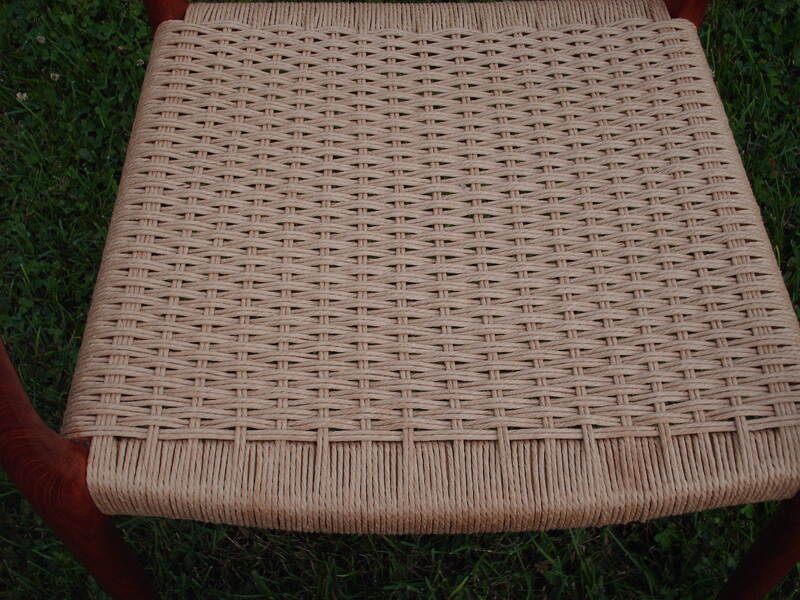 The Danish Cord on the old seats had all been destroyed by cats clawing on them, what you are looking at here are the beautiful new woven seats. Danish Cord is a very strong 3 ply twisted paper rope, even though Fiber Rush is used on many chairs, and is strong in its own right, Danish Cord, has a beauty and strength all it own. Plus the techniques used to weave the seats are entirely different from one another. Danish Cord wraps around a series of “Danish L Nails” which are on the under side of the chair frame usually some where around 72-80 nails, on which the cording is wrapped around. You will be able to tell I am new to blogging with this post, there are several close ups that I wanted to post, but have no idea how to rotate the pictures, so that you don’t have to lay on your sides to see them correctly.so for now, this is the only picture, there will be more to come though.